This post is dedicated to our vintage moms, and to the vintage moms we will become. My own beautiful vintage mom turned 80 this last winter! This pattern is from a set of vintage 40's or 50's transfer patterns that my aunt had. I just love the designs! I wanted to keep the design as original as possible, so I didn't alter the pattern. I used the chalk markers because I want to keep it for awhile and I didn't want it to smudge. First decide the position of your pattern. Then place the transfer paper down with the chalk side of the transfer paper against the chalkboard and place your pattern on top. Next, use your stylus to trace the pattern. Then, trace over the chalk pattern with a chalkboard marker. As you can see, I did my design in sections. I just love the vintage look! Be sure to check out these fun link up parties! That was a lot of careful work and you have such a great result. First visit to your blog, I am adding you to my blog list, following and pinning your wonderful idea. And yes I am in the grandma stage of life, looking after aging parents. This is adorable! Visiting from The Enchanting Rose and I will be a new follower! Love this idea! What a sweet project.. It looks so perfect in that frame. I'm guessing that it took a lot of time~ Great job! another super fun idea! the vintage images are great! That is pretty cool- the stencils are so original looking too! This is really cool! Thank you so much for sharing with us on Brag About It! I LOVE this sweet creation! You continually amaze me with your ideas, my friend. Thanks so much for sharing with Roses of Inspiration. Happy hugs to you! Really great way to get a fantastic print on the chalkboard! Love it and it looks great. Thanks for sharing. That is so cute! I've embroidered a couple of the ladies from that set. My transfers came from Great-Grandma's stash. Love the look! A labor of love! This looks great! It seems like very delicate work, but I just might give it a try. This is brilliant! Never heard of a chalkboard marker. Thanks so much for sharing on Found & Foraged! Oh my goodness how cute! 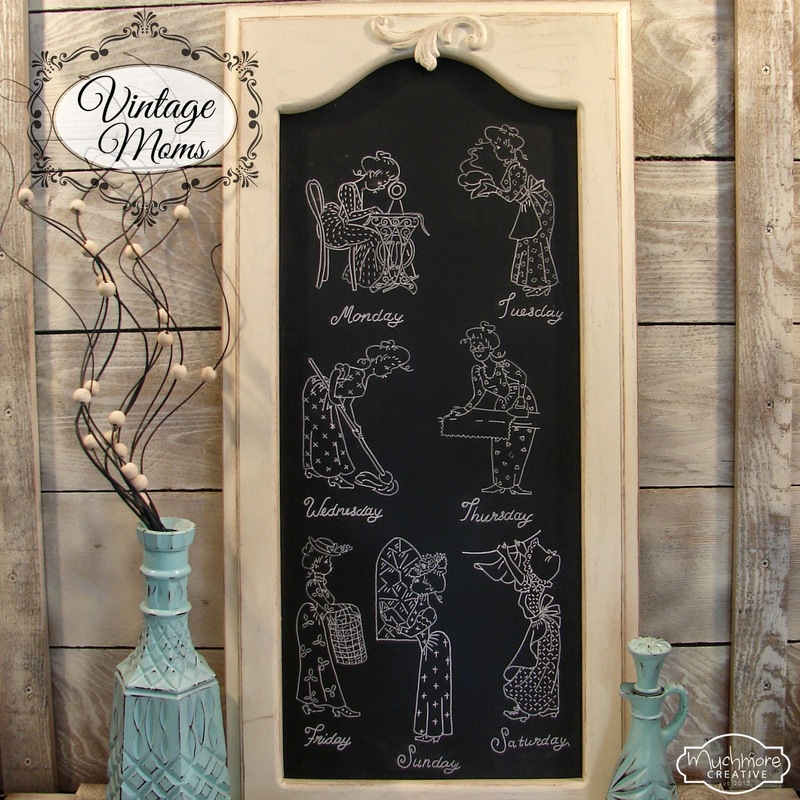 Hi Brenda, the vintage pattern is so fun and I love the idea of putting them on a chalkboard! I'll be a vintage mom sooner than I think. lol! Thanks for sharing with SYC. Oh, I love this! 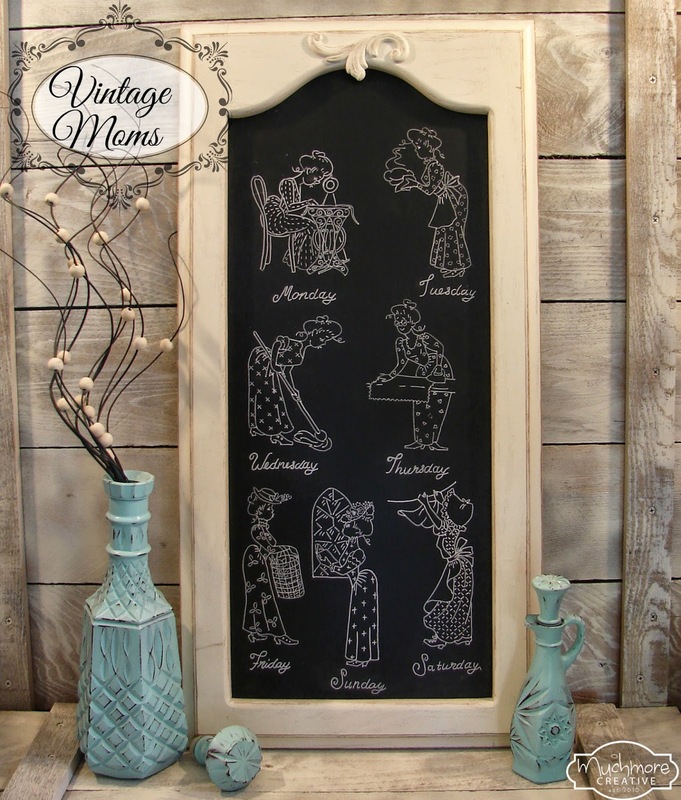 I'd never thought about transferring one of those old patterns to chalkboard; what a great idea! Thank you for sharing at Inspire Me Wednesday. Featuring you in this week's issue. This is super cute. Where would I pick up transfer paper? I'm Brenda. Welcome to Muchmore Creative! This is where I share creative ideas and inspiration. 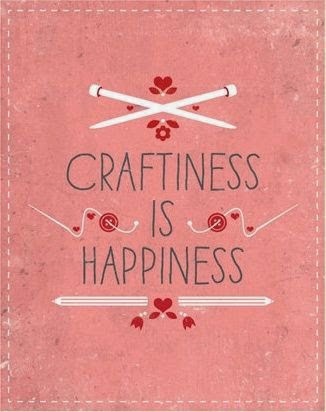 I am a busy working mom of 3 kiddos, and you can find me crafting in my bit of spare time. This is for the birds! MUCHMORE CREATIVE © 2015. Powered by Blogger.